If the National Theatre gave out caps as the England football team does – and incidentally it should – then Vicki Mortimer would rank among the all-time greats. 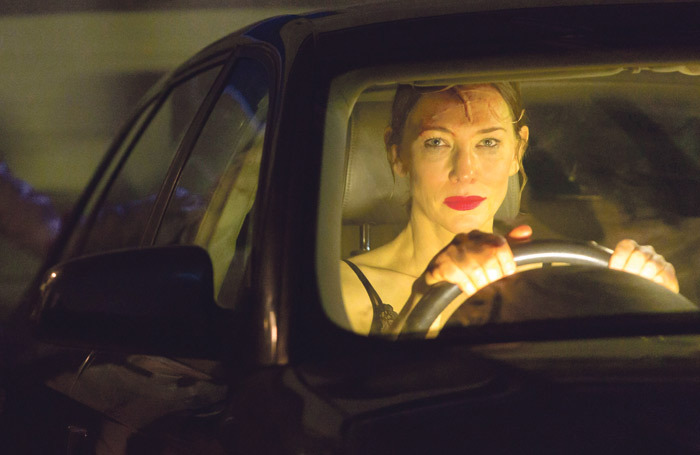 This week, the prodigious designer opens her 34th show for the three stages on the South Bank, even if this time she will find herself upstaged by a first-timer: Cate Blanchett, who is making her NT debut. On the list of most-capped theatremakers however, it is a moment. Mortimer will move ahead of one artistic director, Peter Hall, and alongside another, Nicholas Hytner, though she is still shy of the late Howard Davies, a long-time associate, and his 36 NT caps. The new play, When We Have Sufficiently Tortured Each Other, moves Mortimer into second place on the list of most prolific designers at the NT. 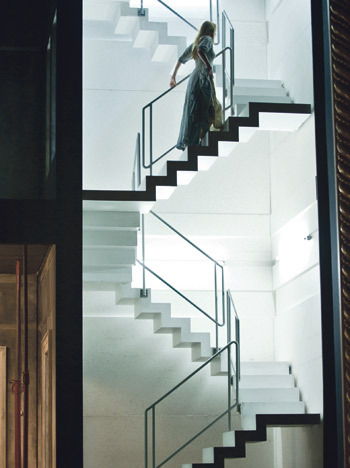 She leapfrogs the former head of design John Bury, whose 33 NT openings include the original Amadeus and Hall’s Oresteia, to draw level with Hytner’s go-to scenographer Bob Crowley and one-time resident designer Alison Chitty. Only William Dudley has more design credits – 44 shows in almost four decades. Mortimer has accrued hers in just 25 years. While numbers count for nothing in art, it is nonetheless a remarkable achievement – testament to a designer of exceptional talent and craft. Mortimer is almost the National’s in-house designer and we meet as she’s mid fit-up in the Dorfman, five days until the first preview. With her technical team working away next door, we stick close in the foyer so she’s on-hand for queries or emergencies. As ever, there’s plenty to pull together. Dressed in a black turtleneck with an Inca-inspired necklace offsetting her silvery asymmetric buzz cut, she seems completely unflustered – sanguine, even. She’s thoughtful, watchful and careful not to give too much away – either about the show or herself. Direct questions are deflected with anecdotes or artistic admiration for others. Mortimer’s designs do something similar. They tell stories, but they’re rarely showy. Her stages steer clear of statements, preferring a supporting role to a star turn. It means Mortimer doesn’t have the profile of some of her peers – Es Devlin, say, or Bunny Christie – but she’s revered by the directors she counts as collaborators. That’s the secret to her NT prolificacy. Mortimer has made herself indispensable to a raft of directors there. 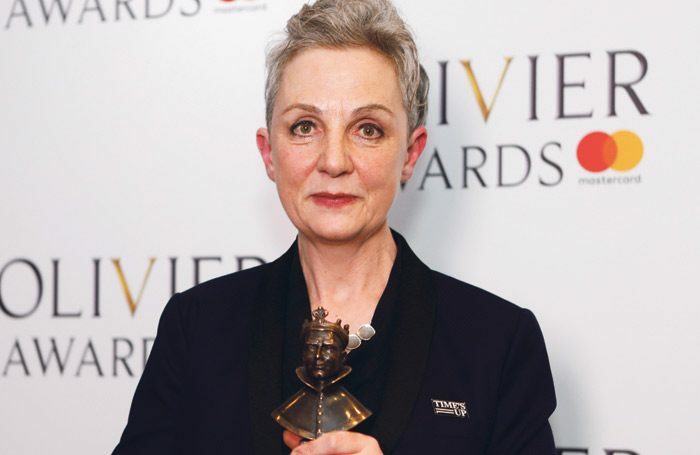 She has helped Hytner stitch classics into concrete contemporary settings – 2007’s The Man of Mode in contemporary London or Othello in an Iraqi military base six years later – and she became one of Davies’ closest colleagues, sculpting vivid Irish settings for his epic staging of Sean O’Casey’s plays in the Olivier. But one collaboration has always been key, foundational even. Mortimer’s association with Katie Mitchell stretches back 30 years and some 40-odd shows. They met as students at the University of Oxford: Mortimer knocked on a friend’s bedroom door only for Mitchell – “being really nosy, like she is” – to pop out of the next room. Early on, in their 20s, the pair would travel to the location of every play they put on. 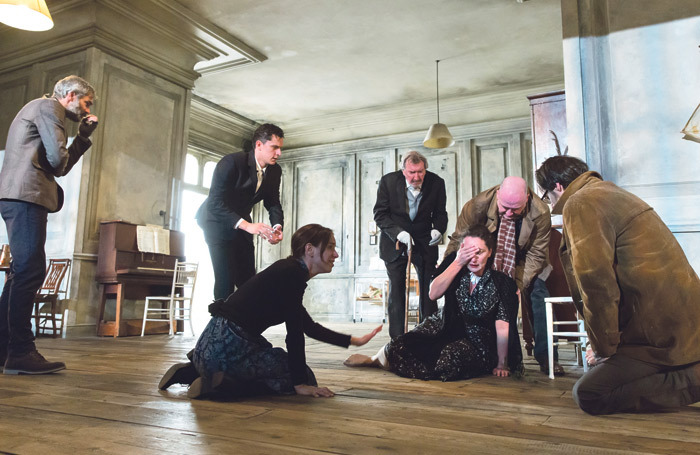 Ibsen’s Ghosts took them to Norway; The Dybbuk, a Yiddish play they staged for the Royal Shakespeare Company, led them to rural Ukraine. “We went on this extraordinary search for this fictitious town where the play was set,” Mortimer chuckles. It sounds silly, but the story is instructive. In Ukraine, Mitchell and Mortimer tried to seek out local Jewish populations, only to realise, belatedly, that those communities had been wiped out twice over – first in the pogroms, then by the Nazis. It was a kind of artistic awakening – a realisation of the responsibilities of representation. Mitchell and Mortimer aren’t chasing rigour for rigour’s sake. Their research isn’t wonkish or over the top. It’s a way of representing the world as it is, honouring the realities of other people’s lives. For Mortimer, the moment “created a real hunger to be true to the culture”. The longer they’ve worked together, the stronger that impulse has grown. • Listen. (It’s all a conversation). The new show is a case in point, she says. It reunites them with the playwright Martin Crimp and links back to his wider body of work – specifically the two plays The City and The Country, which they staged for London’s Royal Court, and his libretto for Written on Skin, first staged at the Aix-en-Provence Festival in 2012. Crimp’s new play is elusive. “Ooh boy, it’s hard to talk about,” Mortimer laughs exasperatedly, ready to tiptoe around spoilers. When We Have Sufficiently Tortured Each Other is 12 scenes long; a very loose, free-form version of Samuel Richardson’s 1740 novel Pamela, about a potentially exploitative affair between a teenage maidservant and her employer, Mr B. She and Mitchell have gone in a different direction, sewing the encounter – these two lead characters – into a specific setting. “Literally, a concrete room,” Mortimer jokes, giving little away. Writing my best friend’s English homework. I got paid in cigarettes. That was in 1979. Those were the days. While I was an undergraduate, I agreed to make two dancing skeleton costumes for the Oxford Playhouse Christmas show. Ever the optimist. I realised, too late, that I was completely out of my depth, and quietly left the materials at stage door with a note, knowing I’d really let them down. I was very embarrassed. Still squirming. How to do my accounts. How to be braver. That one day I would have a collaborator in Paule Constable; I’d have been so happy to know that. My colleagues: directors, writers, other designers, production managers, performers, engineers, draughtspeople, painters, stage managers, master carpenters… I could go on. If you hadn’t been a designer, what would you have done? Missed the most amazing experiences. Kept a tidier desk. Been more timely with birthday cards and phone calls. I have a deep-rooted fear of routine and habit. This rules out ritual. For lighting designer Paule Constable, one of Mortimer’s closest collaborators, it’s a gift. “Every surface, every text has a story behind it, so light can hit those surfaces and resonate.” Light is key, Mortimer reckons. It cements the truth of a space, giving a sense of a whole offstage world. All of this fed into one of her most celebrated designs, Follies, which returns to the National next month. “What a gift,” Mortimer beams. Indeed, it’s hard to imagine a show more suited to her style. 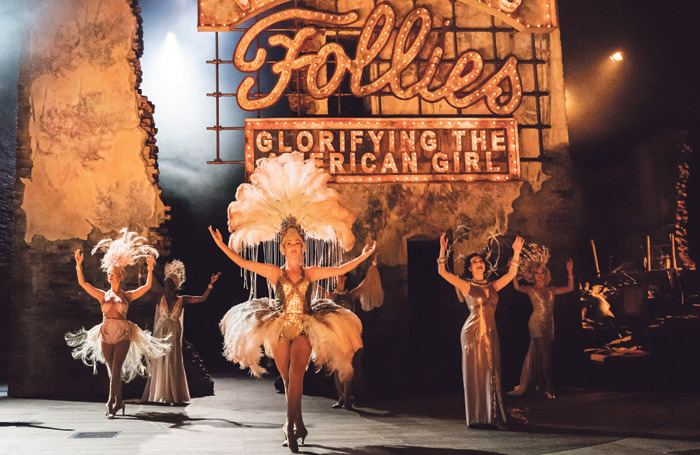 Set in a dilapidated theatre, due for imminent demolition, Follies brings bricks and mortar to life. Stephen Sondheim’s elegiac musical brings a swansong of former showgirls back to the stage for a final send-off and finds the building swimming with memories, the walls full of ghosts. Starting from Sondheim’s own starting point – “a famous photograph of Gloria Swanson stood in the ruins of a demolished theatre” – Mortimer went further than most. Instead of a tired old auditorium, jaded and run-down, she designed one that had fallen into outright disrepair. Black mould climbed the walls like scorch marks after a fire. Rafters were strewn over red velvet chairs. Brickwork had already been bulldozed through. Mortimer’s theatre was already half lost. The effect was to raise the stakes no end. 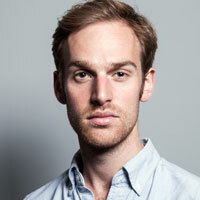 Director Dominic Cooke wanted to flip the play subtly – not the present recalling the past, but the past summoning the present. “The ghosts occupy the building. This is their last chance to call their present selves to account.” Instead of an act of remembrance, Follies became a reckoning. Mortimer’s vast design exacerbated the distance between past and presence, as glittering showgirls glided by in the ruins, spectres shimmering with 600,000 Swarovski crystals. They looked like mirages. 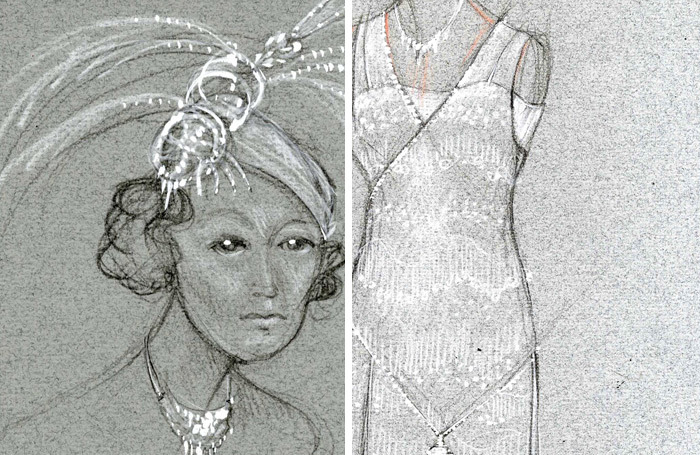 Each individual costume gave clues to the past – both to the wearer and to the era of their prime. It was an extraordinary design that won Mortimer her second Olivier award, but its scale was almost unprecedented, more like opera than theatre. The team spent nine months exploring the piece. “If you start counting your hours, you’re lost,” she says.